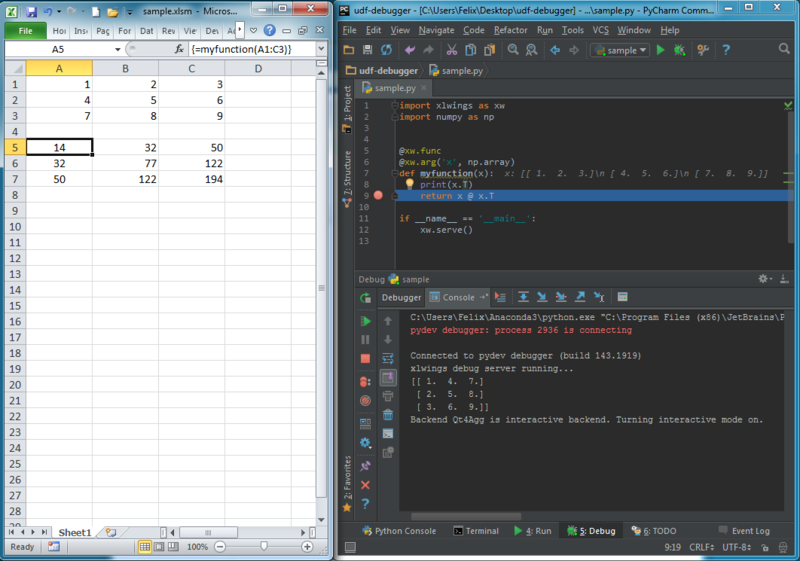 Since xlwings runs in every Python environment, you can use your preferred way of debugging. 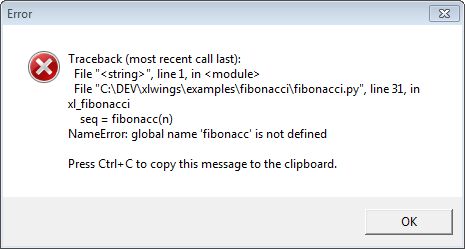 RunPython: When calling Python through RunPython, you can set a mock_caller to make it easy to switch back and forth between calling the function from Excel and Python. On Mac, if the import of a module/package fails before xlwings is imported, the popup will not be shown and the StatusBar will not be reset. However, the error will still be logged in the log file. For the location of the logfile, see Log File default locations. When you recalculate the Sheet (Ctrl-Alt-F9), the code will stop at breakpoints or output any print calls that you may have. When running the debug server from a command prompt, there is currently no gracious way to terminate it, but closing the command prompt will kill it.